Los Osos poet Michael Hannon's work, and the artwork inspired by it, will be on display at the fourth floor of Cal Poly's Robert E. Kennedy Library through March 29. Visit lib.calpoly.edu for more information. It's a controversial stance that local poet Michael Hannon holds firm on. It's a lesson he stumbled onto quickly in his time studying as an English major at Cal Poly many years ago. "I always like to say that I did not go to poetry; poetry came to me," Hannon said. LOS OSOS POET Local poet Michael Hannon supported himself as a house painter for years, in part because the work freed up his mind to focus on poetry. 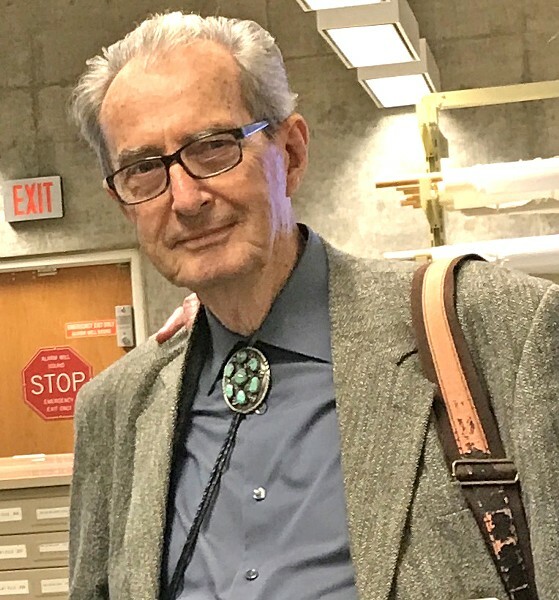 More than five decades of the Los Osos poet's work, along with accompanying art inspired by it, is currently on display as part of the Pilgrim's Process exhibit at Cal Poly's Robert E. Kennedy Library. The show reveals the processes of writing, rewriting, interpreting, and making that have resulted in limited edition chapbooks, books, broadsides, and even art and artist's books created by Hannon's collaborators. At age 21, Hannon was in military service, stationed near New Orleans. An affair with a woman there, "released a lot of psychic energy," according to Hannon and led to a creative burst. "I suddenly found myself writing poems about trying to figure out what was going on," he said. After that experience, Hannon was instantly hooked on the written word. He eventually made his way to studying at Cal Poly in San Luis Obispo in 1960. But he focused his efforts on getting published locally outside of the classroom instead. "You can't learn to write poetry in a classroom," Hannon said. "If you're not obsessed, you're not going to get obsessed in a classroom." He bounced around schools here and there after that for a while. For years Hannon worked odd jobs like cleaning out kitchen restaurants and working at the post office to support his writing habit. In 1964, he moved to San Francisco to surround himself with other poets and improve his craft, but returning to the San Luis Obispo area was always in the back of the California native's mind. A RETROSPECTIVE Pilgrim's Process, an exhibit featuring the poetry of Michael Hannon and the art inspired by it, is on display at Cal Poly's Robert E. Kennedy Library. 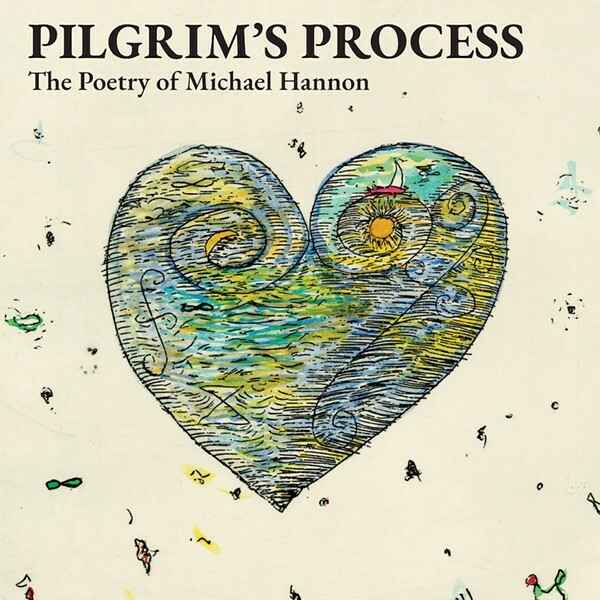 Then in 1965 the San Francisco-based publication, the City Lights Journal, published Hannon's poem, The Sea Gazer, which the poet read at the opening of the Pilgrim's Process exhibit on Nov. 3. It was the start of a long writing career for Hannon. "Called down to witness God in his loveless immortality. I am drinking the moon," Hannon writes. "Let innocents hold to their ignorance/ The sea reveals nothing to a novice heart." Eventually Hannon found a steady source of income to support his writing when a house painter came to one of his readings and hired him for a job. Hannon worked painting houses on the Central Coast up until his retirement eight years ago. He found that the work freed up his mind to really focus on poetry. "It doesn't require a lot of intellectual effort, and it's a good way to make money," Hannon said. "Poetry was my un-career." Hannon's last book of poems, The Muse Turns Her Back, came out in 2013. At nearly 80 years old, Hannon isn't quite sure if he has another book in him or not. He stopped writing for a few years, and then suddenly began again. "It's much slower and harder now," Hannon said of writing. "My best work may be behind me." Still, Hannon continues to find inspiration for his writing in sources like deconstructing Christianity, Buddhism, philosophy, and nature. "Involuntary birth, involuntary death. That is the mystery that inspires me," Hannon said. "We're serious human beings. My poetry has always been a philosophical investigation of that mystery." Of course Hannon hopes that readers of his work take away some pleasure from the experience, but ultimately he wants them to feel something more. He wants them to think. Arts Writer Ryah Cooley is lost in metaphors and similes at rcooley@newtimesslo.com.